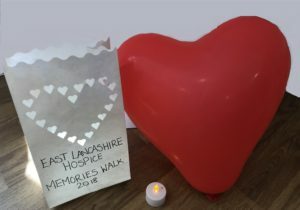 I took part in the East Lancashire Hospice walk in memory of my Grandad. In his last days the hospice team took great care of him and the staff and nurses were fantastic and friendly, putting my Grandad and the family at their ease. I really wanted to give something back to the hospice to repay them for their kindness. Knowing that they largely rely on donations to carry out their work, and to remember my Grandad, I decided to take part in the Memories Walk. I really enjoyed the day, along with loads of other people who turned out to do the walk. The atmosphere was amazing! The weather was perfect for it too. 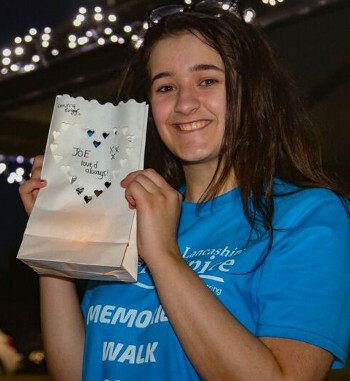 At the end of the walk everyone got a balloon and a little bag with a candle inside it in memory of the person we walked for. When I mentioned at work that I was doing the walk they were keen to get involved and help out, so decided to sponsor the bags and balloons. I work for Select Medical who manufactures pressure relieving mattresses & cushions. I started here through a traineeship course I did at college and began on a work placement. I’m now an apprentice at Select Medical, learning about the products and how they help those at risk, or those suffering from, pressure ulcers. I’m learning lots of new skills on sales, telephone communications, and administration….lots of great work experience. It’s such a nice place to work. 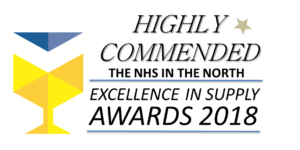 I’d once again like to thank East Lancashire Hospice for all that they do and also thanks to my new work colleagues for sponsoring me on the day, as well as to Select Medical for sponsoring the bags and balloons!